I skied around Mestia and Ushguli (Svaneti/Georgian Caucasus) 28 Feb to 1 March. 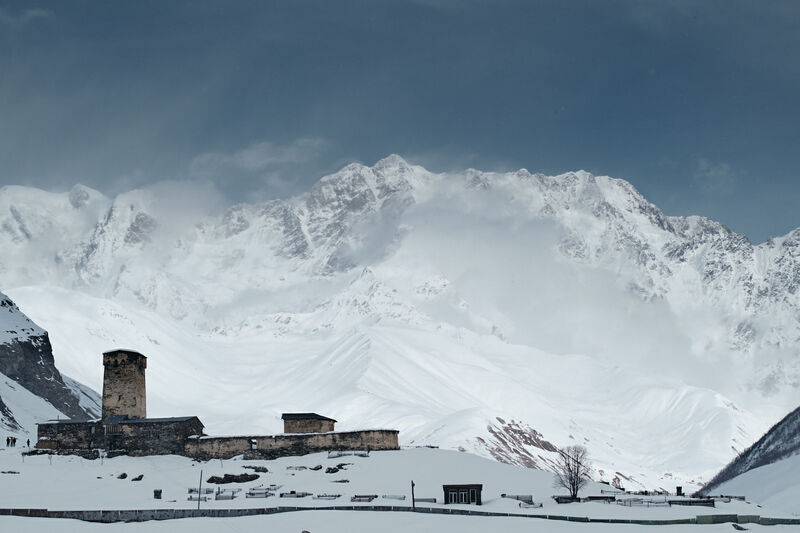 A low-pressure system with center north of the Caucasus brought unsettled weather, snow, and N-NW winds during this period. New snow heights varied between 20-25 cm (in ca. 2000-2500m) and up to 40-50 cm (Tetnuldi and Laila group, above 3000m). Another few centimeters fell after we left. 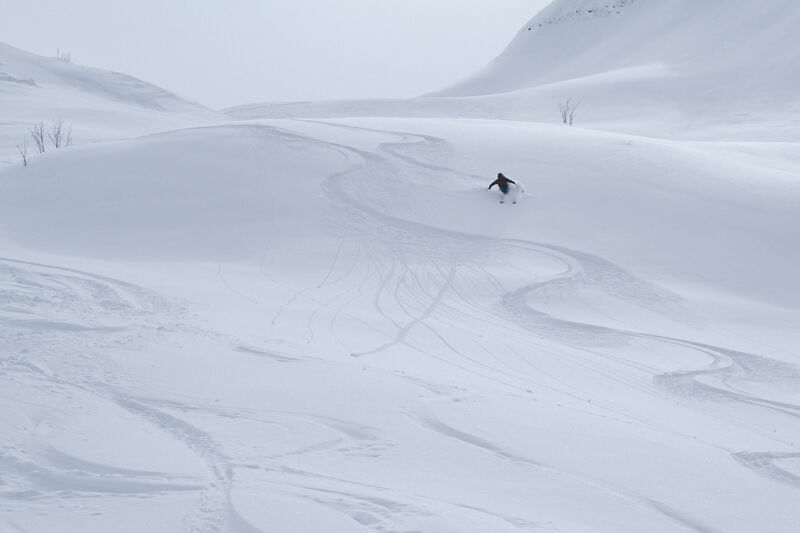 The new snow bonded quite well on the northern (NE-N-NW) aspects and resulted in quality skiing. On solar (SE-S-SW) aspects the new snow fell on a melt-freeze crust, however. 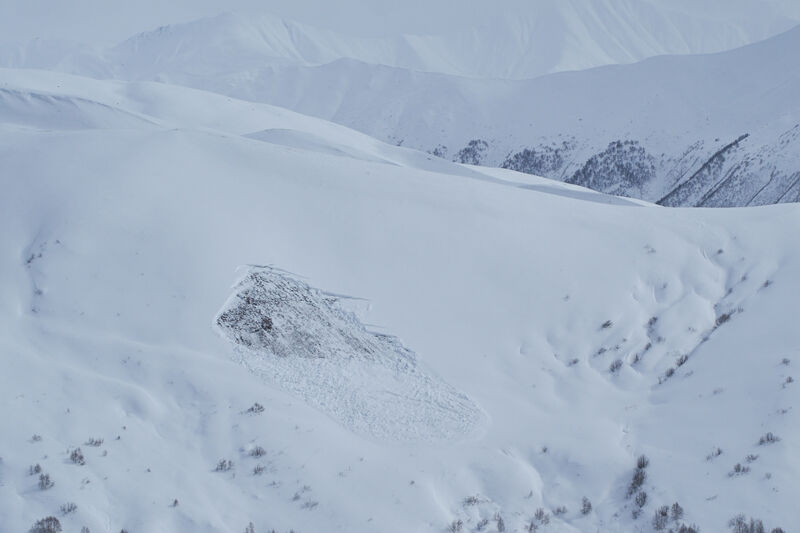 That crust has facets below and likely above as well, resulting in heightened avalanche hazard on SE-S-SW aspects. 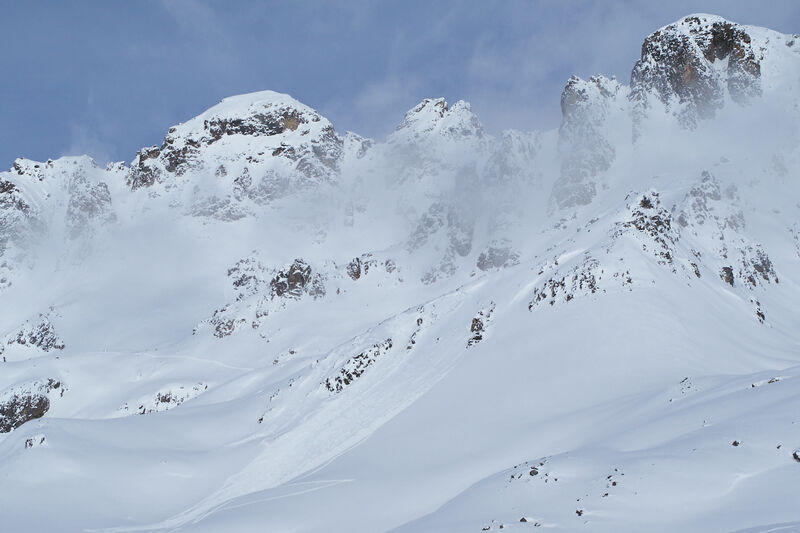 This was confirmed on 27 Feb by a skier-triggered size 2, 3090m elevation, SE aspects, in 35 degree terrain, on the traverse from the last Tetnuldi lift to Adishi. The suspected failure plane were facets over buried sun crust, overlain by new, wind-affected snow. "Whumpf" sounds were notable in that area as well. Note that this is a popular route, but it should be treated with caution (a safer option exists, but that requires putting skins on again after a short ski descent). The crust-facet combination is likely-wide spread and will persist to be a problem for a while. On 27 Feb I could also see several natural avalanches (size 1-2), releasing on basal facets, on S-SE aspects below 2600m - they likely released during short weather windows with intense sun. Other guides reported facetted snowpacks on east-aspects in the Laila group as well.